Did you know that this Saturday is Talk Like a Pirate Day???? Well… it is! 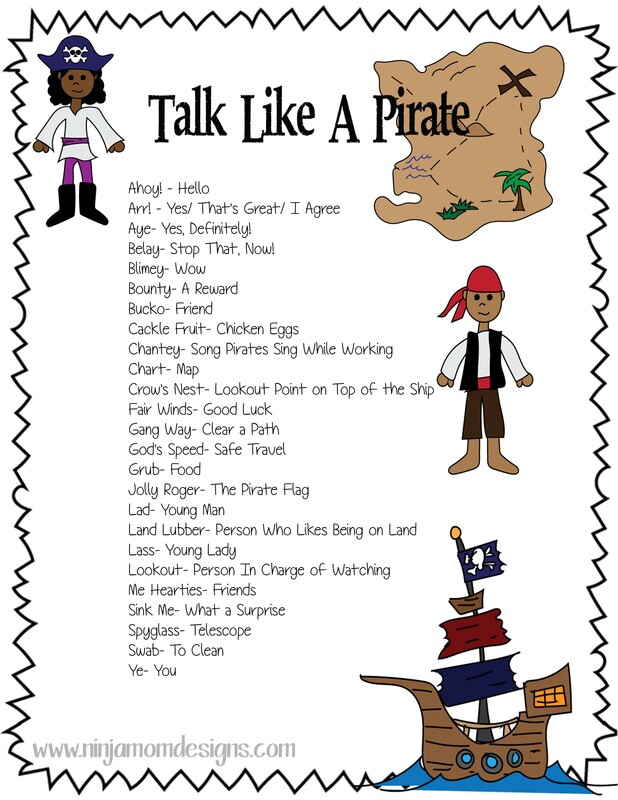 Have fun with your kids this week and print out this fun Talk Like a Pirate Sheet. I’m going to have my kids draw a comic strip or write a story using pirate lingo. Clip Art was designed by Ninja Mom Designs and can be found HERE and HERE.